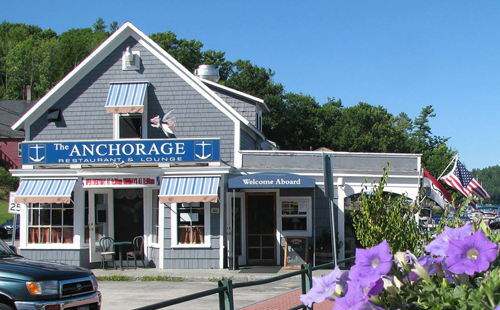 Come enjoy lakeside dining at The Anchorage, located at the heart of Sunapee Harbor. Sit back and relax on our deck overlooking the lake while indulging in our delicious dishes and keeping cool with a cold beverage. Bringing together friends and family for decades, The Anchorage is a summertime destination offering a pleasant dining experience and an entertaining nightlife featuring live music. "I am committed to bringing new ideas to the Anchorage in the near future, while keeping old traditions alive." Watch us as we grow. "We have found that by reaching for what appears to be impossible, we often actually do the impossible; and even when we don’t quite make it, we inevitably wind up doing much better than we would have done." We regret to announce the cancellation of our St. Patrick’s Day celebration as a result of an arson attempt last Friday March 8th. We have been preparing for months to share our recent renovations with you, and we will not let this setback deter us. We will keep you updated as we work to establish our new opening date.